Second time round. Same award. Different nomination. You will not believe how long it took for me to think of. 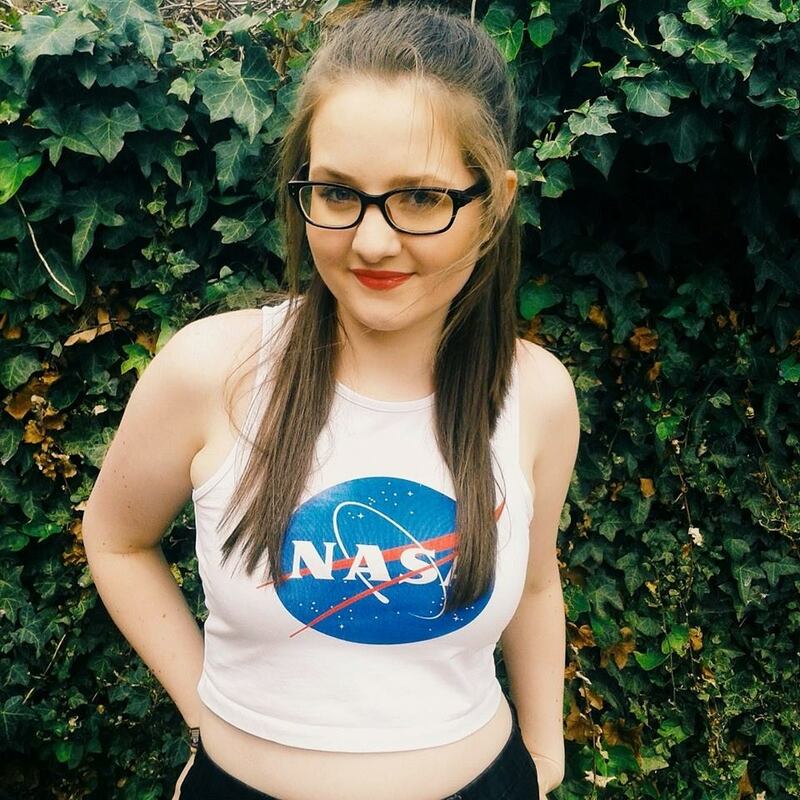 The lovely Micah of Michastela, check her out here, very kindly has nominated me yet again for The Liebster Award. 1. Thank the person that nominated you and leave a link to their blog. 2. Answer the 11 questions set by the person that nominated you. 3. Nominate 11 small blogs that you love to read, they must have under 200 followers (e.g. on Bloglovin' ) and then link their blog. 4. Set 11 questions for your nominees to answer. Now I'm kind of going to break the rules here, I know I'm a right rebel! Anyway, I'm not going to nominate 11 small blogs with under 200 followers. What I'm going to do is that if you, yes you reading this, have a blog with under 200 followers you can make a blog post like this if you please. So here are Micah's questions and my answers. 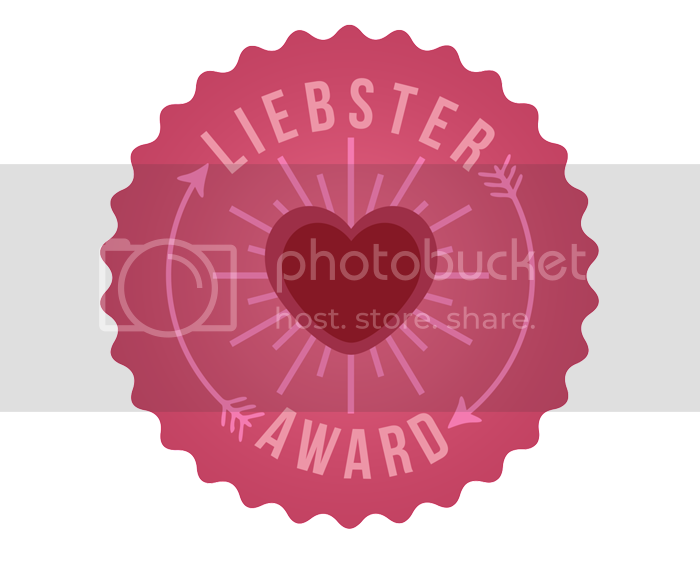 Now I did answer this is my previous Liebster Award and said that I didn't really know why I started my blog but now that I think about it, I think I started my blog because I wanted to give back and become part of such a great community. The blogging community at the minute especially the smaller blogging community. I've made some great blogger friends over the months that I've been blogging. If you're thinking of starting a blog or are scared to reach out to other bloggers, do it! Take a deep breath and write a blog post or write an email to your favourite blogger for tips or to say how good their blog is. I also answered this in my last Liebster Award post. Now most people would normally say heights or the dark or something like that but my worst fear is dying but not how most people think of it. I'm scared of dying alone and not doing something for the world. I want to be surrounded by or at least know that there are people I love and people who love me. Also, I want to be able to say that I've done something in the world whether that be write a novel that changes the way people think whether that only be my family will or whether that's hundreds of thousands of people. Or I want to be able to say I helped starving children in Africa get better, go to school, get an education and become a doctor. 3. If you could change something about yourself, what would it be and why? The size of my stomach and thighs or my smile. I'm planning on become a bit fitter and to lose a bit of weight. Now I'm not saying that I'm absolute massive but it's more for my lifestyle and fitness choice. I want to feel confident wearing a bikini or a pair of shorts or even a crop top. I know I shouldn't feel self conscious and think so what if people stare but I'm not the most confident person in the world. However, my smile I can't really change that. It's not really that I have a massive problem with my smile it's just I feel like when I smile it makes my cheeks look quite big but I'm hoping to change this. Going through my head whenever I smile is that I look nice smiling and I shouldn't look so glum all the time. Have you ever had this problem? I think that it's just all about confidence which I am hoping to have more of. 4. What is the one thing you can't live without? Okay, so this is the one that stumps me a bit. Brings the blog post to a halt almost. I've had to think about this one long and hard but I've finally figured it out. Normally people would think that I'd be saying family and friends but I'm going to say something different. It's going to sound a bit cringe-y actually. As much as I can't live without family, I can't live without books. Books are a very big part of my life. Ever since I can remember I've loved to read. They just transport me to the most amazing places, places that I almost can only think of in my head. I can read for hours on end and go on forever. I don't think I'd be able to cope or live without books in my life. 5. If you will be given 3 wishes, what would it be? Wish 1: I'd love, love, love to have an actual physical book published with my name written on the front. I'd just absolute love that, I have a real thing for writing. It would just be absolutely amazing. It makes me a bit emotional thinking about it actually happening. Wish 2: This wish is so cringe-y, I want to fall in love, get engaged and have the dream wedding I've always wanted. Ever since I was a little girl I've wanted to have a big white wedding but in my own way. So cringe-y but I don't care. Wish 3: A wish that's an actual wish would be to be able to sing really super well, like West End singing level. I'm not the worst singer in the entire world but I'm definitely not the best by a long shot. I just wish I could belt out a song and hit all the right notes at all the right times. Imagine that *sighs* I'd just love it. 6.Who is the person you look up to? Now I also answered this in my last Liebster Award so I shall repeat this now. Blogger/YouTube wise it's Zoe a.k.a. Zoella because I think she is so positive about everything even in a bad situation and I just feel like from where she was a few years ago and how she's grown her channel and blog and maybe one day I can do that both blogging wise and YouTube, changed that part didn't I.
Non-Blogger/YouTube wise I think it would have to be John Green or Cassandra Clare because I love the way they write and it really inspires me to become a better writer. I love Cassandra Clare's writing so much I actually write a Clace (Clary and Jace)fanfiction on Wattpad. And obviously John Green's writing is just pure perfection! This is a tough one to be honest. There's just so much makeup but I think I know which drugstore makeup brand is my favourite seeing as I haven't tried a lot of high end makeup. Rimmel London is absolutely on point with makeup from their powders to their eyeshadows and to my favourite, favourite product by Rimmel London; the Kate Moss lipsticks. I could write a whole blog post on how much I love them lipsticks. I won't go on any further seeing as that kind of summed it up. 8. What is your top 1 in your wish list? Does this mean something that I'd love to have? I'm guessing it is. Anyway, what I'd absolutely love is a DSLR camera. I love the Canon ones but I know they're a lot of money so I'm going to have to start saving up for one unless someone who works at Canon or something is reading this and wants to send me one that'd be totally cool with me. I'm joking....maybe. 9. What are your hobbies and passion? I have quite a few hobbies so I won't name all of them otherwise we'll be here forever and a day and I'm pretty sure you haven't all got time for that, even I haven't. One of my biggest passions is writing. I absolutely love it, whether it's blogging or writing stories I just love it. It relives my stress sometimes and gives me a chance to express myself. One of my hobbies is baking. I love baking so, so, so much. I love the smell when I put cupcakes in the oven and they start to bake. Also, my favourite part of baking is when there's either a bit of mixture or icing left in the bowl and I get to eat it! Do you like doing that too or am I just strange? 10. What is your greatest achievement in life so far? This one is so easy for me. Wow, that sounds a bit egotistical but it's true I do know. When I was ten or so maybe eleven, I'd have to check, I wrote a story and poem submission to a company called Young Writers who publish young peoples stories and poems and I got published! So I now have a copy of my story and poem both on my shelf at home and in the British Library. To know that my name and writing is in the British Library with so many talented and inspiring authors makes me a bit emotional if I'm honest. 11. What is happiness for you? There's quite a few things that make me happy and this list goes on and on and on and on, for some reason Boom Clap just came into my head. Anyways as I said there is a very long list so instead of listing them here in this blog post I'm going to write another blog post about them, look forward to that, and tell you all about the things that make me happy. I have done a similar blog post about things that make me smile which you can check out here but I'll be doing a blog post on what'll make me happy soon. Wow, them questions felt like they took forever to answer but they were some good questions asked. Now onto my questions for anyone who wants to complete them. 2. What is your absolute favourite song ever? 3. Why do you love blogging? 4. One beauty product you cannot live without. 5. What's your favourite season? 7. Who's your favourite blogger and/or YouTuber? 8. What's the meaning behind your blog name? 11. What's your biggest achievement to date? You are doing so well with these awards! I'm so proud of you.